A motion filed with U.S. District Judge Tanya Chutkan in Washington, DC Tuesday suggests Awan’s defense attorney, Christopher Gowan and federal prosecutors are negotiating a guilty plea to be considered at a July 3 hearing. Prosecutors declined to comment beyond their statements in the motion. The scandal surrounding Awan has shrouded in mystery and the subject of widespread speculation since it was first brought to public attention in a series of reports last year by the Daily Caller News Foundation’s Luke Rosiak. Awan’s formal indictment alleges bank fraud and making false statements, supposedly connected to a real estate scam he was allegedly running in Virginia. But the accusations of wrongdoing against the Pakistani national, who for years managed IT services for Rep. Wasserman Schultz (D-FL) and more than 20 other congressional Democrats, run much deeper. 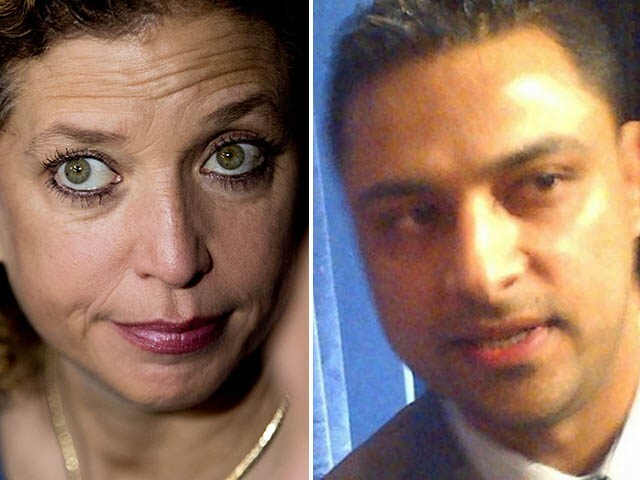 The House of Representatives revoked Awan and his brother’s access to their computer systems last February after allegations they “stole equipment from more than 20 member offices and accessed House IT systems without lawmakers’ knowledge,” according to Politico. Most lawmakers fired Awan immediately, but Wasserman Schultz stood by him until his arrest, having threatened the Chief of the Capitol Police with “consequences” if he did not turn over a laptop of hers Awan had used and was being held as part of his investigation of these allegations. On Tuesday, the Daily Caller News Foundation reported Wasserman Schultz called House Chief Administrative Officer Phil Kiko a “f*cking Islamophobe” as she made “frantic, not normal” rounds of the Capitol in an attempt to quiet the growing scrutiny of Awan and his family’s dealings. Awan was arrested last July attempting to flee the United States for his native Pakistan after he allegedly wired hundreds of thousands of dollars of funds there. Over the next several months, three women accused Awan of keeping them “enslaved” in his Northern Virginia home. Another report indicated that, years earlier, Awan bragged to a colleague he could, in violation of regulations, run his congressional IT services out of Pakistan, where he could pay local police to torture people. Conservative House Republicans have played up the scandal, holding a public forum on the allegations in October at which Rosiak spoke on his reporting. In an appearance on Breitbart News’ Whatever it Takes with Curt Schilling, Rep. Steve King (R-IA) expressed concerns Awan may have had access to sensitive information, including the internal communications of the foreign affairs committee, which he found alarming given his ties to Pakistan. Trump was referencing the contents of the Wasserman Schultz laptop seized by Capitol Police, the contents of which remain unclear.